I went up to Vermont this weekend to ride Burke Mtn’s new trail “Knightslayer.” This place is sick! Look for some pics soon, the jumps on this trail are off the hook. I also stopped by Knight Ide’s place to shred his jumps for a bit. 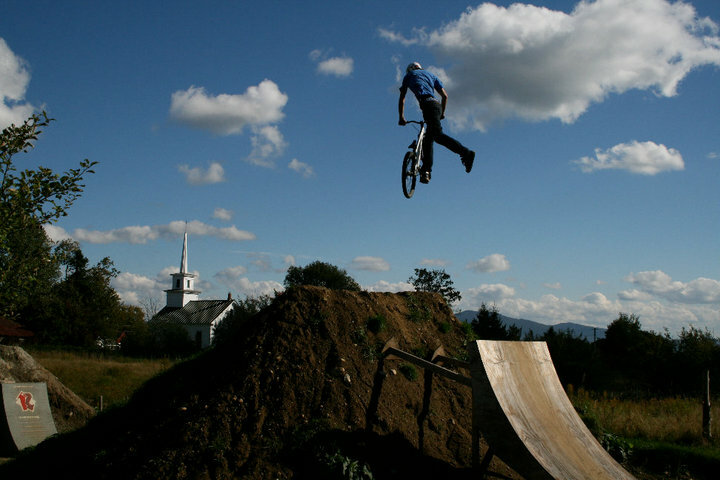 His yard is the best: sweet jumps, good friends, and a laid back vibe. Thanks Knight!